Katharine has been with the Southeastern Wind Coalition as its President since October 2015. She manages SEWC’s programming and operations across 11 states working with a wide variety of stakeholders to promote land-based and offshore wind, wind imports, and the regions’ supply chain assets. Katharine's experience in the wind industry includes working in finance for Boston-based developer First Wind, consulting with Vestas R&D to formulate a federal grant funding strategy, and a role as business development manager for The Wind Alliance. Katharine has also worked in other renewable energy capacities as an analyst at the Nicholas Institute and authoring an NREL paper on third-Party PPA financing of solar systems. Prior to the Southeastern Wind Coalition, Katharine worked for RTI International where she was the finance lead for two $30M+ divisions. In her role at RTI Katharine led the creation and start-up of a new business segment that allowed RTI to win over $30M in new work during its first year. Katharine is a 2009 graduate of Duke's Fuqua School of Business and Nicholas School of the Environment, where she earned her MBA and Master of Environmental Management with a concentration in Energy. She holds a BS in Finance from the University of Colorado Boulder. Adam joined the Southeastern Wind Coalition in May, 2016. He graduated from George Washington University with a Masters in Environmental Resource Policy. While completing his masters, Adam worked for the National Audubon Society and the Sierra Club on various policy issues, including renewable energy. As the Atlantic Region Manager, Adam assists with SEWC's programs across their 11 state territory with a focus on Atlantic Coast states. His work includes outreach and engagement with stakeholders as well as overseeing SEWC's grant with the Department of Energy for the Southeast Wind Energy Regional Resource Center. Before GW, Adam attended the University of Richmond on a baseball scholarship where he received his bachelor's degrees in both Political Science and Environmental Studies. Adam comes to us from Alexandria, Virginia where he attended T.C Williams High School; made famous by the Disney movie "Remember the Titans". When he's not working, Adam enjoys coaching baseball, hiking local trails, and exploring breweries with his girlfriend, Jessica. 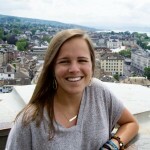 Jaime is originally from Columbus, Ohio, where she attended Ohio State University and received a B.A. in Political Science. She went on to receive a Green MBA from Green Mountain College, one of the Top 5 Most Sustainable Schools in the country, and developed a work plan for a transition towards sustainability for a transmission and distribution manufacturer. Jaime transplanted to Raleigh in 2013 and shortly after joined Siemens as an Account Coordinator where she was responsible for coordinating the installation, reactive service, preventative maintenance and upgrades for X-ray systems in the New York & northern New Jersey area. Through Siemens, Jaime received her Lean Management certification, an approach that supports continuous organizational improvement in efficiency and quality. In 2014 she became the treasurer of the Board of Directors for Toxic Free North Carolina, a non-profit whose mission is to improve the health and well-being of North Carolina's people and environment by reducing the exposure and impact of toxic chemicals used in agricultural and consumer products. Outside of work, Jaime enjoy gardening, hiking, bike riding, and spending time with her husband, Jon, and their dogs, Rory and Logan. 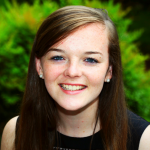 Emily is an undergraduate student of Public Policy at the University of North Carolina at Chapel Hill. She began working with SEWC in 2018, supporting the Coalition's supply chain database. After graduation, Emily hopes to pursue a career in the renewable energy sector. Taylor is currently an undergraduate student at the University of North Carolina at Chapel Hill, double majoring in Environmental Studies and Public Policy. This past summer, she had the opportunity to participate in a six-week Honors Carolina Global Program that focused on urban sustainability in Spain, Germany and Denmark. Over the years, Taylor has become particularly interested in renewable energy and after her time studying in Europe, she has become especially passionate about wind energy. 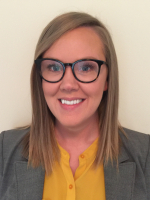 Taylor started working with the Southeastern Wind Coalition in 2018, supporting the organization's project goals. After graduating in 2021, Taylor plans to pursue a law degree and has a long-term goal of working to reform the United States renewable energy policy. 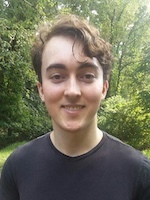 Eamon is a junior majoring in Environmental Studies at the University of North Carolina at Chapel Hill. His work with SEWC began in October of 2018, working on the SEWC website’s layout. Next year, Eamon plans to begin pursuing a Master’s degree in Strategic Communication, and after that he hopes to work in the renewable energy sector.